It is with a heavy heart that I must announce I am leaving LIGNET after more than three years due to a recent decision by Newsmax to permanently sideline the project on October 30. While the website is no longer online, I retain a copy of every article I wrote on the site. 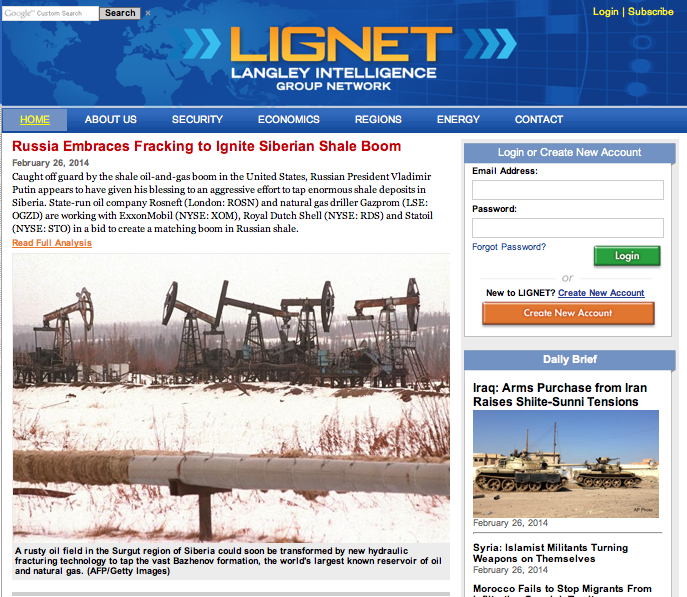 From June 2011 through October 2014, LIGNET published my pieces on 191 of the 193 UN member states and dozens of territories/disputed countries* as well as more than 100 major energy, manufacturing, and technology companies. I have learned an incredible amount and been a production powerhouse. I single-handedly wrote a combined 1,452 Analyses and Snowflakes/InBriefs/DailyBriefs (the name has developed throughout the course of the site’s history) — over a sixth of the site’s entire content — between June 15, 2011 and September 11, 2014. During my first year (2011) I covered 78 countries (78 of 193) and generated a total of 132 stories. During my second year (2012) I covered another 108 countries (186 of 193) and generated a total of 368 stories. During my third year (2013) I covered 4 more countries (190 of 193) and generated a total of 534 stories. During my fourth year (2014) I covered just one new country (191 of 193) and generated a total of 418 stories. However, if I count citing Micronesia, Samoa, and Vanuatu in this piece Pacific Islands “Fighting for Survival” then I technically covered all 193 countries in 2013. These are an assortment of the clips I wrote while working for Newsmax Media’s Langley Intelligence Group Network (LIGNET) from September 1 – October 31. These articles were published on their site following review by their Analysis Team. Shorter pieces (‘Daily Briefs’) do not require any sign up, however longer articles (‘Analysis’) do require a subscription to the site. These are an assortment of the clips I have written while working for Newsmax Media’s Langley Intelligence Group Network (LIGNET) from August 1 – August 31. These articles were published on their site following review by their Analysis Team. Shorter pieces (‘Daily Briefs’) do not require any sign up, however longer articles (‘Analysis’) do require a subscription to the site. These are an assortment of the clips I have written while working for Newsmax Media’s Langley Intelligence Group Network (LIGNET) from July 1 – July 31. These articles were published on their site following review by their Analysis Team. Shorter pieces (‘Daily Briefs’) do not require any sign up, however longer articles (‘Analysis’) do require a subscription to the site. 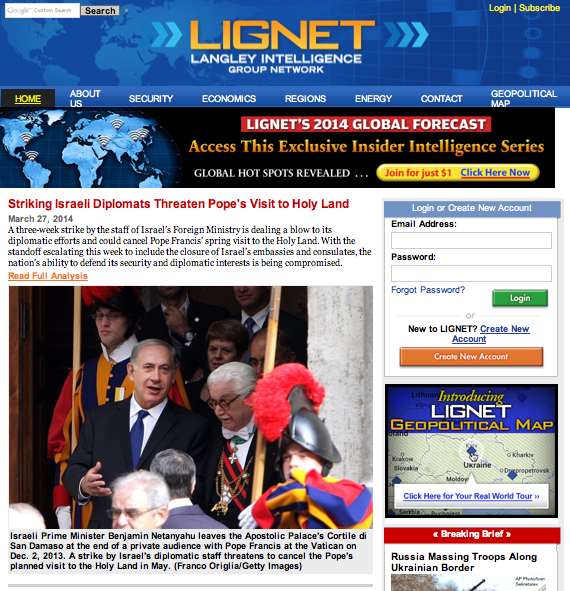 These are an assortment of the clips I have written while working for Newsmax Media’s Langley Intelligence Group Network (LIGNET) from June 1 – June 30. These articles were published on their site following review by their Analysis Team. Shorter pieces (‘Daily Briefs’) do not require any sign up, however longer articles (‘Analysis’) do require a subscription to the site. 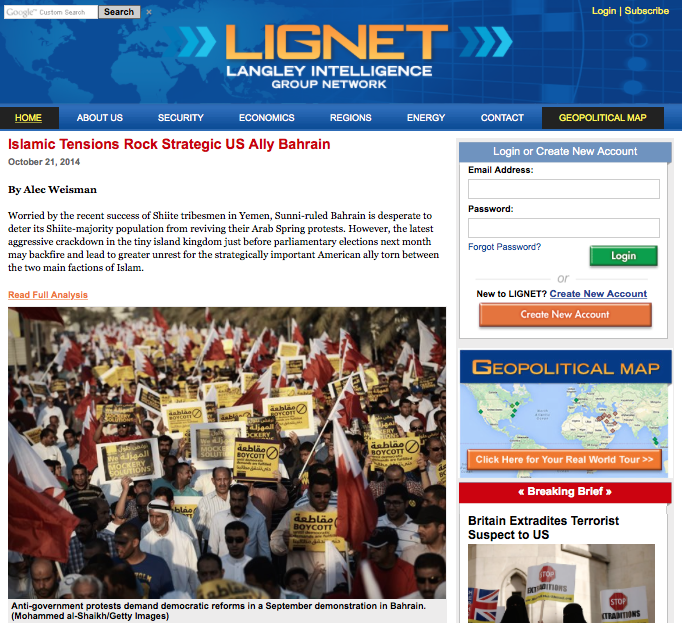 These are an assortment of the clips I have written while working for Newsmax Media’s Langley Intelligence Group Network (LIGNET) from May 1 – May 31. These articles were published on their site following review by their Analysis Team. Shorter pieces (‘Daily Briefs’) do not require any sign up, however longer articles (‘Analysis’) do require a subscription to the site. 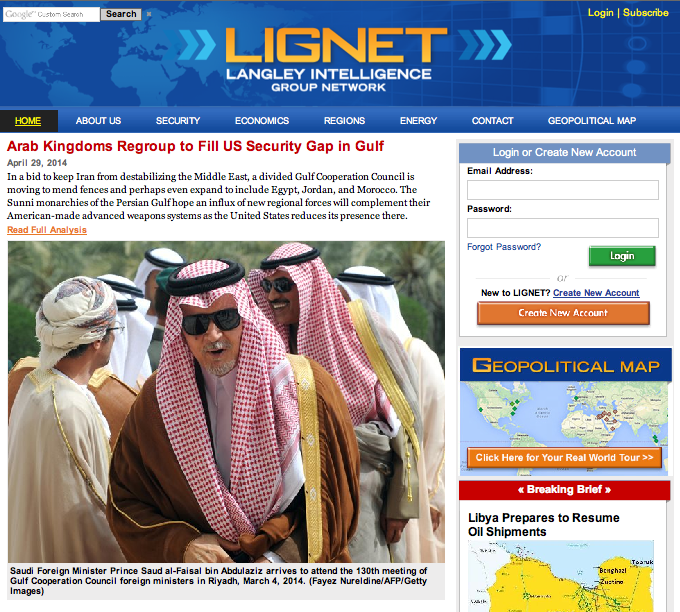 These are an assortment of the clips I have written while working for Newsmax Media’s Langley Intelligence Group Network (LIGNET) from April 1 – April 30. These articles were published on their site following review by their Analysis Team. Shorter pieces (‘Daily Briefs’) do not require any sign up, however longer articles (‘Analysis’) do require a subscription to the site. 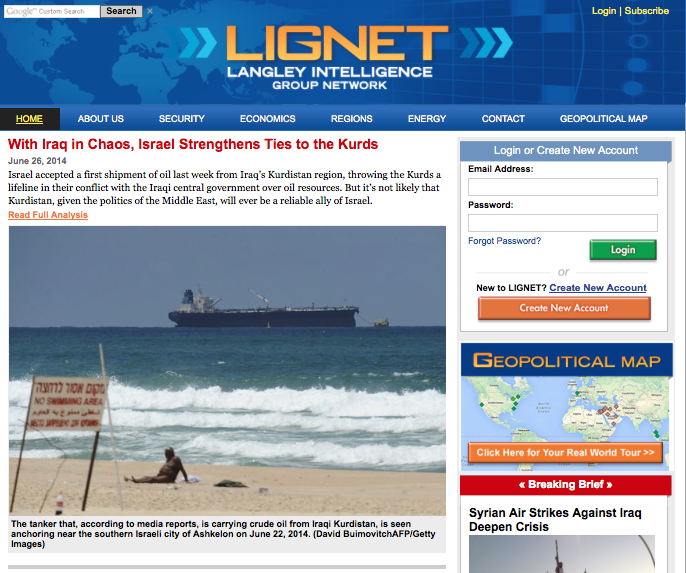 These are an assortment of the clips I have written while working for Newsmax Media’s Langley Intelligence Group Network (LIGNET) from March 1 – March 31. These articles were published on their site following review by their Analysis Team. Shorter pieces (‘Daily Briefs’) do not require any sign up, however longer articles (‘Analysis’) do require a subscription to the site. 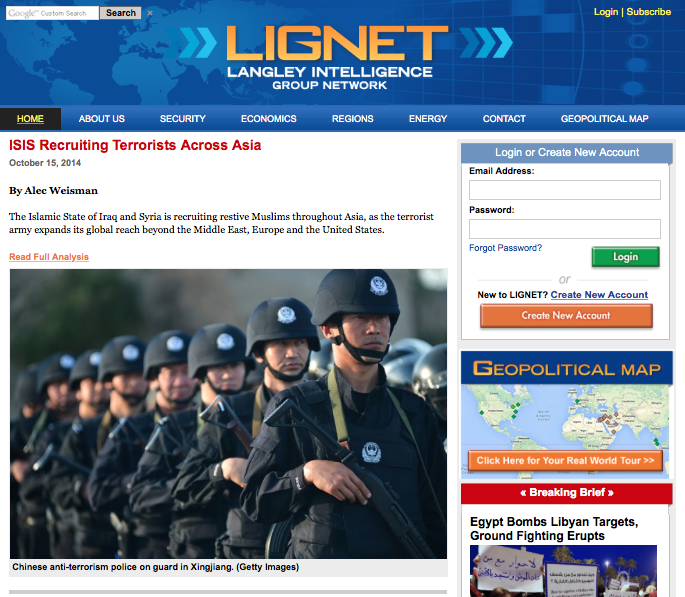 These are an assortment of the clips I have written while working for Newsmax Media’s Langley Intelligence Group Network (LIGNET) from February 1 – February 28. These articles were published on their site following review by their Analysis Team. Shorter pieces (‘Daily Briefs’) do not require any sign up, however longer articles (‘Analysis’) do require a subscription to the site.